Northfleet - Winner of "Project of the Year"
Robert Skene Consulting Ltd was appointed by Lafarge Cement UK Ltd (LCUK) in 2004 as lead rail consultant to help it develop and implement a new rail terminal to handle construction products, and a new connection to the national rail network, on the site of the former Northfleet Cement Works, with rail/road/shipping interchange, which was delivered on time and on budget in 2012, initially as a Crossrail Logistics hub. 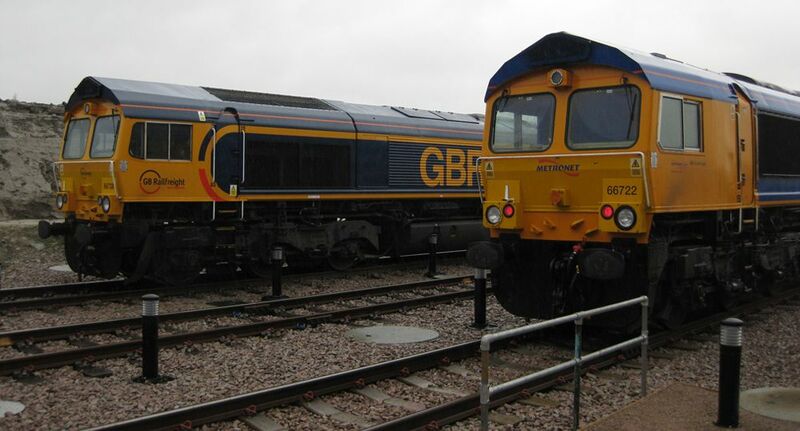 The Northfleet project won the Project of the Year award at the National Rail Freight Awards in 2012. We were involved throughout the project from conception to implementation. The scheme included a new rail connection to the electrified North Kent Line, exchange sidings, a new three siding terminal, a route length of 2.1km, some 4.75km of new track, and use of an existing tunnel. 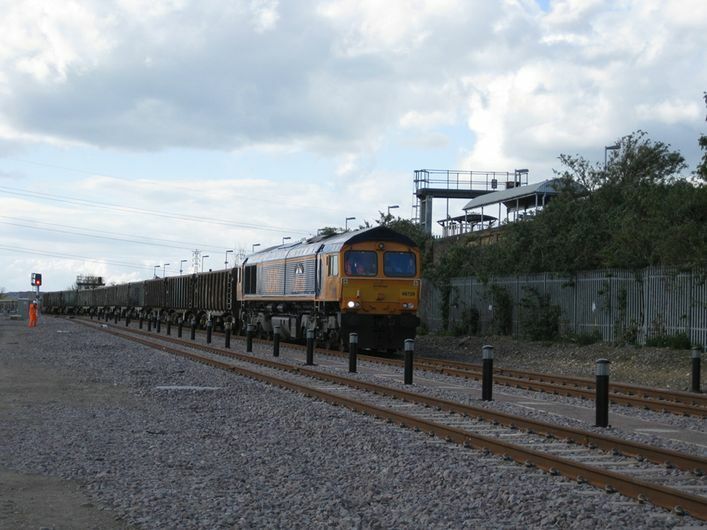 A particular problem was that although there had been a former rail connection and sidings to the former cement works on the site, after almost twenty years of disuse these had largely been either removed or obliterated, having been partly lost to Channel Tunnel Rail Link (CTRL) use and partly to changes to the cement works site. In any case, the former rail infrastructure was totally non-compliant with modern standards, and were grossly inefficient in use. Our involvement commenced with development of an outline design for the rail terminal and rail link from a "clean sheet of paper", identifying the land take required by the scheme (both that occupied by LCUK and that occupied the Channel Tunnel Rail Link), and that which could be released for development. In parallel to this we produced the initial capital cost estimates, which were continually updated as the scheme developed, and also analysed scheme feasibility and viability. Our considerable experience of producing initial cost estimates for rail projects resulted in our initial cost estimates being within 3% of the final outturn cost of this multi-million pound project. We sat alongside and advised the client in the negotiations with Network Rail and the CTRL teams to reinstate a rail connection and rail infrastructure to the site. We continued to act as Lead Rail Consultant as the project developed, our experts working alongside the Client's project team and its other professional advisors, and forming an important part of the project management team. The cordial and effective relationships within this team were a vital part of the successful delivery of the project. Specific responsibilities in this phase of the project included, letting and managing detail design contracts for rail infrastructure, rail operations advisor, and support of LCUK's successful compensation claim against CTRL (Union Railways). Following settlement of the LCUK Claim, RSC was then engaged by Union Railways (with LCUK's full approval) to work as a part of the team defending it against a claim from the owner of another disused rail freight facility severed by the CTRL. In 2013 a signalling system for LCUK's single track section was installed, the scheme having been designed from the outset for this to be retro-fitted, at a time that the Client considered to be propitious. We developed the concept for a low cost signalling system, for which design and build tenders were then sought. Our duties in this phase of the contract were the same as for the main contract. 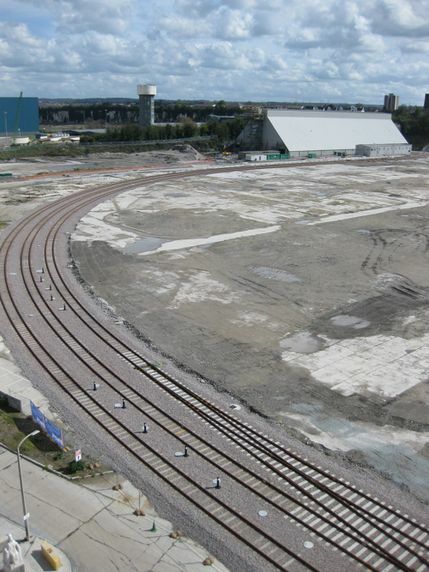 The site successfully completed its role as a Crossrail construction hub, and once the lease of the site to Crossrail expires and the planned new aggregate import terminal has been completed it will commence the next phase of its life.